I've got a sizeable collection of billboard pics sitting on my computer and I'll be posting some of them here, but I'm afraid I don't have too many details on the agencies behind them or any dates. Drop me a line (vedrashko.at.hotmail.com) if you know anything and want the justice served. 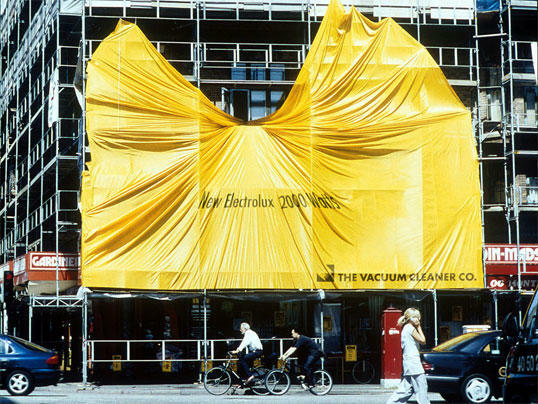 This particular billboard is for Electrolux vacuum cleaners.